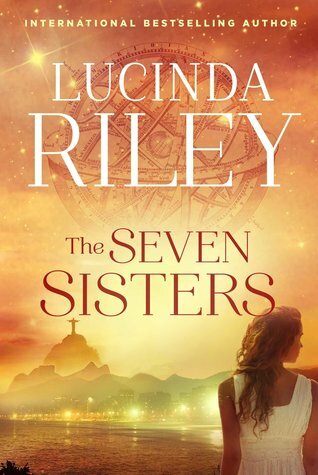 There’s no doubt about it – Lucinda Riley is the unrivalled Queen of the epic saga! This book marks the first in a highly ambitious undertaking of what promises to be a best-selling series of seven books, loosely based on the mythology of the star constellation, The Seven Sisters of the Pleiades. How does one even begin to describe a book that is so rich in metaphoric beauty that you just want to completely immerse yourself in it? The depth and intensity of this story and the meticulous, painstaking research it must have involved left me awestruck! Maia D’Aplièse is the eldest of six daughters (each named after the stars of the Seven Sisters constellation), all adopted by the wealthy, elusive, but beloved ‘Pa Salt’, and lovingly raised by him and his able staff, most importantly Marina, who they fondly call ‘Ma’. They grew up, wanting for nothing, in a palatial home called Atlantis, on the shores of Lake Geneva. Now adults, each of the six has left home to pursue their own interests, knowing that their home base will always be there for them. But Maia is the only one who has remained living at Atlantis, nursing age-old wounds and secrets that she has always kept hidden from her sisters and Pa Salt. Pa Salt dies suddenly and the sisters are summoned home to discover that his burial (pre-arranged by him) has already taken place, and while they have all been left financially comfortable, they have also each been left a clue as to their true heritage. It is up to them, individually, to decide whether they wish to pursue the clues to discover their origins or not. When Maia discovers that Brazil is where Pa Salt adopted her, she first thinks she has no intention of travelling so far away, until an unexpected voice from her past becomes the catalyst she needs to leave her beloved haven of Atlantis. So she travels to Brazil, feeling ambivalent about what she will find there, and whether she even wants to know. With the assistance of Floriano Quintelas, an author whose work Maia has translated, she traces her clue to a beautiful but crumbling old house where she meets a terminally ill woman, and her protective maidservant. From here we are swept back in time to the late 1920’s and the history of Izabela Bonifacio and her relationship with both Gustavo Aires Cabral, who she is destined to marry, and French sculptor Laurent Brouilly, who she falls passionately in love with. Izabela’s journey from Brazil, her all too brief sojourn in France, and through the various trials and tribulations she must endure, are fascinatingly intertwined with the description of the origins of Rio’s world-famous Christ the Redeemer statue. We discover that Maia and Izabela both experience heartbreak in their life, and both must learn how to bear the pain and find the strength they need to create the future they want for themselves. This is a skilfully crafted novel, with many cleverly interspersed anagrams and allusions. If your imagination is captivated by the hints you find scattered throughout the story, and you want to know more about the characters and the origins of their names, then a visit to www.thesevensistersseries.com is an absolute must! You can also visit www.lucindariley.com for more information on this powerhouse of an author.